When I think of Zac Efron, a few images come to mind. Most will recall his days as a Disney darling in the High School Musical franchise (and subsequent romance with costar Vanessa Hudgens), while others will think of the fact that he's grown into an absolute hottie with abs of steel and a smile to melt hearts (seriously, I feel like if you look up the term "hottie" in the dictionary Efron's picture will appear). These days, he's establishing himself as a ~serious actor~ while being conscious of the fact that people still remember his child star roots. I, for one, was pretty shocked when he entered treatment for substance abuse in 2013, but now Efron is sharing how sobriety has changed his life, and it's inspiring. I think there's a lesson here that could apply to anyone in this age of Snapchat and Instagram, when it sometimes feels more important to capture an image of something happening rather than simply living in the moment and snapping photos in our minds. Of course, most of us normals aren't getting frequent Google alerts of our names or having paparazzi follow our every move, but it still applies to the idea of actually living your life versus a narrated version of your life for social media. Selfies and status updates are cool, don't get me wrong... but they're not everything. How many of your best memories come from a social media post? Whether you're going to an event where you're supposed to be out… there will be press there, if you're leaving your house to go to the grocery store, there will be press there. It can be everywhere and it can be confusing. You spend a lot of time in your house, going crazy and pretty soon you need a social lubricant. And once I needed that, it became to go anywhere ... I just really want to never again have to take anything from the outside into me to feel good about my outside, to be comfortable in my present skin. 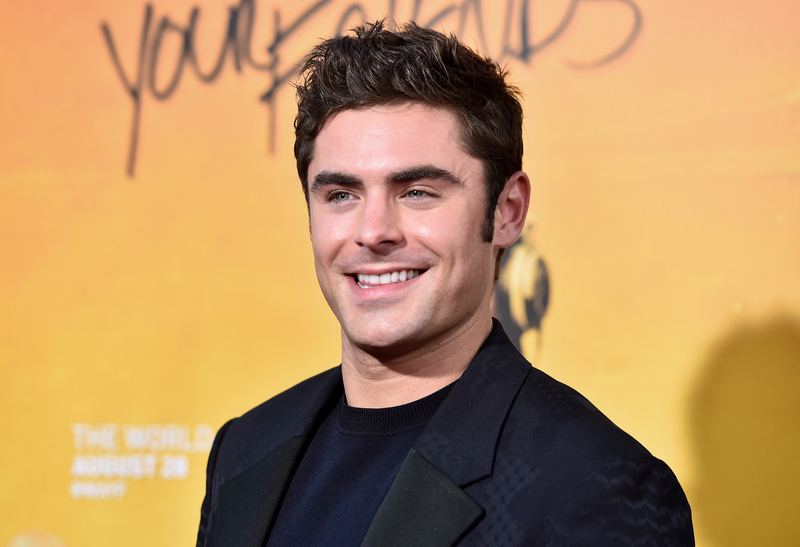 That does sound totally overwhelming, but Efron seems to be in a much happier place these days, thankfully. The idea of living your life with less awareness to Google, social media, and various gadgets is definitely an inspiring one, though, and I think most people could learn from his wisdom. So now, next to "hottie" in the dictionary, I propose putting Efron's picture next to "Google alert philosopher." He's a man of many talents, indeed.